Steem Secrets #8 (Delivered By @athenabree08): To Succeed On Steemit You Will Need A Lorry Load Of Foresight. See This Rare Intel! Hi precious steemit family, i am "@athenabree08", a minnow on steemit but "whale" inside and i am speaking in the words of @steemsecrets. Since you joined steemit, did you know that your "Curriculum Vitae" has not been the same? If you knew; have you adjusted your "Résumé" or are you still look for jobs, contracts etc with previously existing "résumé"? And if you have adjusted your CV already, are you still seeking that "same position" or "job" or have you upgraded to asking for "CEO positions" etc? And if your CV is now all glossier; are you still looking for jobs, walking all around the streets or are you scouring "wall street" now? "A "janitor-janitor", is not the same as a "steemian-janitor" for while one is busy, simply cleaning daily; the other is already envisioning becoming a "soap master", because while "mining incessantly with his mind", he had found out that "dirt is good". 1. You own a bank. Yes, you possess the key to an entire "De-Central" bank; "a steem wallet" that completes transfer/deposit transactions every 3 seconds, can accomplish millions of such transactions daily, has an open ledger attached to it and is safe and secure. 2. Your mind is on spanless and on fire. You "mine with your mind in an incessant loop". 3. You are a community leader. 4. You have social influence. Your words now have great reach. 5. You have seasoned marketing skills. 6. You have well-connected friends. You now have direct access to reputable great minds from every nook and cranny of Mama Earth. 7. You are connected to the best talents in any niche or industry. 8. You have the "steemit effect". Mining with your mind in a incessant loop, in the face of reputable great minds, while keeping morals in check, has turned you "steemian". 9. You are almost an SEO expert. While companies spend millions for advertisement. You can reach an audience organically in the search engines, using your next steemit post. 10. You have traveled the world. You have visited places from around the world, through the vision of people from around the world; daily! 11. You have world-class communication skills. You converse with a variety of humans daily. 12. You have a sandbox to turn dreams into reality. 14. You have surpassed google. 16. Your reputation is proven. 17. Your voice is worth something. 18. Your tears have value. 19. You have something to offer. #untalented has eliminated words like bum, average or smart. Open your eyes! Shine your eyes! For, it is not about looking too much; "it is about how much you can see! did you visit "steemit" history or did you jump steps? Are treating "steemit" like you would "real life"? Are you applying foresight too, when it comes to attaining "steemit success" or are you just looking? Please follow awesome @athenabree08, if you picked something of special value from this post. Kindly follow @steemsecrets on steemit, not to miss out on releases and please keep tabs on its Dtube channel for shareable videos. Note: We will celebrate each minnow as whales and whales as whales, for "you are whale to me!" Each one will learn while teaching this rare knowledge and will become "whale inside" after each endeavor as we build a shareable library of the fastest-rarest "Steemit" speed-up knowledge in the most assimilateable sweet bits. Then, "fulfilling success" we will attain! Knowledge dispensed is "life knowledge" underlyingly and this applies on steemit and beyond. Please see the other releases on @steemsecrets if you haven't. At the end of each exercise, each participant will be "whale inside" on steemit, in the ocean and in real life. Follow @steemsecrets, so that you never miss out on any release! Contact us to share in the celebration by featuring on our channel, else we will be contacting you soon! @athenabree08 a minnow on steemit shines as she reveals the 8th release of the fastest-rarest Steemit speed-up knowledge in the words of @steemsecrets. Steem Secrets #1 (Delivered By @sunnylife): "You Are Whale To Me! "; This Is Where Your Steemit Journey Should Begin. Steem Secrets #2 (Delivered By @ankarlie): "You Own Steem". We Take Steem To The Moon. Steem Secrets #3 (Delivered By @enjieneer): "Rewards" On Steemit Involve Way Bigger Things Than "Money". Abeg, Shine Your Eyes! 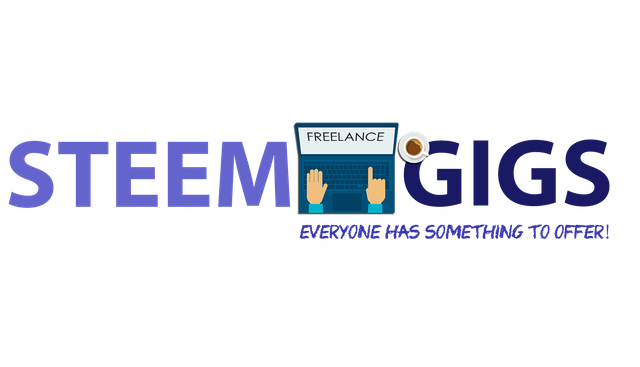 Steem Secrets #4 (Delivered By @gerel): Shake The Steem Blockchain With A Piece Of Awesome "YOU", For "There Was Life Before Steemit". Steem Secrets #5 (Delivered By @allerie00): Much Of The INTEL That You Will Need, To Attain "Steemit" Success, Lies In "History". Steem Secrets #6 (Delivered By @itsjessamae): The Rarest INTEL About Steem Wallets. For Success Even On Steemit, "Respect" Is Involved. Steem Secrets #7 (Delivered By @zoeroces): To Really Shine On Steemit, You Will Need To Be Slow About "Conclusions". Please click here and type in "steemgigs" into the first search box, to vote! Wow this is impressive and you just saliently define what its to be on this great platform, one must know its indeed a great privilege to have know about this platform because the simple fact that you are on it makes you steps above your peer either in the same profession or vicinity. Thanks to @athenabree08 for today #secretRevealed and also special kudos to the boss @surpassinggoogle, Whale in making @nuges reporting. Yes @nuges thanks to @surpassinggoogle for the knowledge that he imparted us. Learning never ends. This one is very helpful especially for the newbies. Hope they get to read it. Again thank you @steemsecrets, for this an eye opener again. Thank you also @athenabree08,. another minnow but "whale" inside. thank you for sharing your words of wisdom. That's it..."Open your eyes! Shine your eyes! For, it is not about looking too much; "it is about how much you can see! another mind awakening and impartation for me. Thank you @athenabree08 for sharing your wisdom and impartation. Continue to delivered empowering message to us. @steemsecrets thank you for allowing minnows but a whale nside to speak with you. letting the stemians to spread the wings and soar high. An eye opener indeed! @steemsecrets and @surpassinggoogle is imparting us with all the necessaries needed for this steemit journey and I am so glad to be in this epic episode. Now I feel 'whaler' than ever before. This has really made minnows on here to be able to spread wings out and soar really high. It is bringing out the inner whale in all of us. Opening our eyes will lead us to see things but we can see more when we close our eyes, just make sense. When we close our eyes that's the time we can see things that the naked eye cannot see. one in steemit praising @steemsecrets to community! touch my heart and motivated people to start his journey! wonderfull lesson got from #steemsecret team you are whale inside! Thank you for this series, its getting exciting every single day. Off course, a whole lot of change since I came on board this ship. My voice has been given a value and I have something to offer. Hi @athenabree08 and @steemscrets! I'm a Steemian- bank employee. Unlike before, I now feel just as powerful as my bank employer because I now own a bank! My qualifications have definitely upgraded, from just a common person to a Steemian with a lot of possibilities. I'm excited to what the future has in store for us with all these "powers"! it is about how much you can see! I'm excited to what the future has in store for us with all these "powers"! Steemit has given us so much confidence, has removed fear from us because we know that we have this much power. It is an exhilarating feeling. Curriculum vitae before now has been misinterpreted, leaving out vital details as this that sells us much more and better. Look at how many of the things listed here that just blow your minds out and broadens your horizon, that way, you keep thinking possibilities rather than think defeat. That way you add better value than deplete people's values. When one even confess this words, there is a tendency your life will align overtime as you become a better you. This is a great comment. Adding value to peoples lives should be our major aim. We should think of others. And try to lift them. Rather than deplete their values. Another secret revealed thanks @steemsecrets. Here on steemit you don't need CV or RESUME. You just need to introduce yourself to know you better. Here at steemit you are the boss.. you hold your time.. Thanks @athenabree08 for this awesome post. Done following. Thanks @surpassinggoogle for another secrets tips. Giving value to others is our main purpose of living. Touch the heart before asking the hands. Putting value rather than taking value. Oh my gosh. Lovely write up. I think this is the best so far. When you are on steemit, you don't see a bird on a tree, you see the potential of capturing that moment and using it to inspire people on the platform. I love this piece. @athenabree08 you have outdone your self. Thank you @steemsecrets. This is so enlightening. @surpassinggoogle has become a role model to all of us who wants to achieve 'whalehood'. If we can learn from his expository messages, we can pretty well be like him. You are just right about Boy Terry. Is more than a role model . For me i will call him a The Professor of steemit university. A man with many side to him but always inspiring in all the sides. Such a big honor to know him. Wel said @edithangelseu. The potential of capturing the moment is the best thing. Great heights can be attained, if we just believe in ourselves. Yes @juderoyal, just believe in yourself and God will do the rest. A "janitor-janitor", is not the same as a "steemian-janitor" for while one is busy, simply cleaning daily; the other is already envisioning becoming a "soap master", because while "mining incessantly with his mind", he had found out that "dirt is good". Indeed, we are on our way to success. This is like a re-identifying myself post since I am now a steemian. I have discovered a lot about myself since I joined here. This platform changes and improves myself. Me too @christianyocte it helped me bring out the best in me. I have no regrets joining in this platform. Oww. Im so happy that the maker or the video commented! It is such an honor.! I willl continue to bring more people in herr so that they will also experience what we have experienced here, Athena! We are on a journey of rediscovery ! Steemit has made us look inwards, into 'us' we never thought existed, 'us' that lay fallow, 'us' that was wasting away, frustrated 'us'. I know the feeling because I have been there. So this rediscovery journey is a whole new concept for me, a delicious one. I agree on you on this. We become more engaged to the community and we change I to we. I have to agree to this one too. Yeah same as me. I enjoying here and most of the time I am here than doing FB thing. Likewise. I am even bringing my students here. I have brought 9 people in this platform... One of them has already enjoyed his first cashout. That is absolutely true my frriend. There so many fruits that we reap here. This is awesome! This is awesome!! This is awesome!!! Truly my resume has changed since I joined steemit and surpassed google. As a community leader, I have social influence and something to offer my well-connected friends. Steemit is a life changing platform, thanks to @steemsecrets, our Steemit University, @athenabree08 and rest teachers. A platform that changes lives! Unbelievable! In six months, my life has changed for the better and when I look at the distant horizon, I see lights shining, I see hope rekindled. Everywhere I look, I see smiling faces and grateful hearts. Being grateful is the least we can do. It's a wonderful community. Don't just post aimlessly...you must set sail on a new destination...a new mission...the voyage of conquering your fears and living Steemit to your highest ideal...Yes, I am a Ceo. Yay, Thank you for the inspiration @steemsecrets @surpassinggoogle @athenabree08 !!! 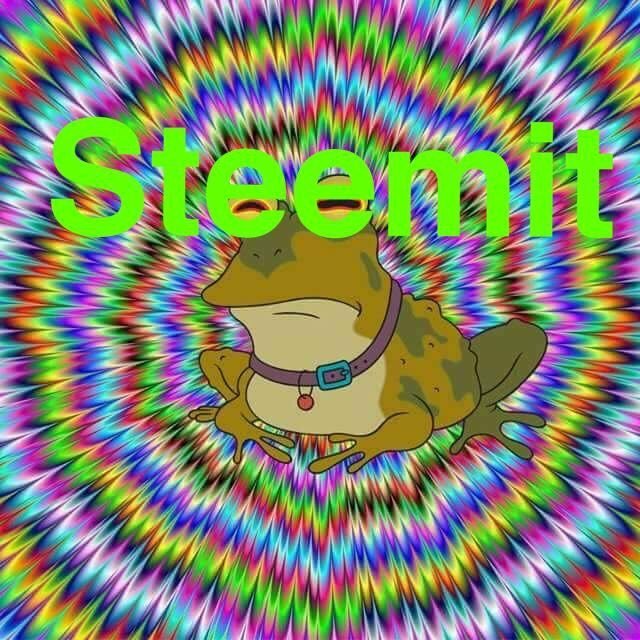 I am a CEO because I own steem. I feel so proud to be one. When you evaluate how far you've come and fared in the world system, you will appreciate how well steemit has treated us in just a little time. That I am a shareholder on steemit gives me immense joy. Only post when it is valuable. In other words, many posts don't count, only meaning ones. Thank you sir. Try to write for this. I am so much In love with the secrets share here. Daily o do come here to mine some wisdom and they are really blessing my life. Due to the benefit I get from here I have decided to let others know too that's why I created a contest to help broadcast this blog. I would love it if you guys support me. I've been here in steemit for 56 days now to be exact. A minnows but I am not in hurry of becoming a whale because I know that someday I will be. But by reading this I felt like I am now. Just keeping in my mind that the time will come for me too. For now I am taking one step at a time. Trying my best to post something that has value and continue showing my art wok to everyone. I admit sometimes I struggled what to post within the day but by reading other's post helped me and each day I am learning something new. Thank you @athenabree08 and @steemsecrets for making and sharing this to all of us. By reading this I am more encouraged to go on here on steemit and continue what I have started. Those amounts that I am earning here helped me when I need it the most. Thank you @surpassinggoogle for introducing this to everyone. great format! :) I really enjoy sitting back and watching a nice, smiling face explain to me some great lessons of steemit. There is no way you will be on this platform for just a day and your curriculum vitae will remain the same, you will just see things to add to your life ideally, mentally and financially and that show how rich the platform is in all ramifications. Thanks to @steemsecrets team for another #secretRevealed. your all 20 point are Succeed On Steemit You Will Need A Lorry Load Of Foresight! now steemit become my career! i was not known from steemit when i joined steemit i realize steemit give me opportunities to fillfull my dream! a platform where your life change! i financialy weak but steemit give a new hope of life thanks you steemit! thanks to @steemsecrets and @surpassinggoogle for helping the community! Yeah a big thanks to @surpassinggoogle he helped us a lot in so many ways. well thanks for your replay yeah we can see her hard work and thats really helpful.! Yeah dear, I am one of those whose life changed because of steemit. @sunnylife -- declared "I am a Whale"
@ankarlie -- said "Let us take steemit to the moon." @enjieneer -- showed our "Real Rewards"
@allerie00 -- advising us to "Study Steemit's History"
@itsjessamae -- emphasized the importance of "Respect"
@zoeroces -- advised us to do not Jump easily in "Conclusion"
@athenabree08, sharing us about FORESIGHT. What you see in your future you will become. It is a challenge to all of us Steemians to look behind our present situation, there are people who stopped in pursuing their Goals because they defined their future with what is happening in their present. OPEN YOUR EYES AND SEE the beauty of your future in Steemit! Nagode! (Thank you) @ , @steemsecrets and @surpassinggoogle for sharing this 8th Secret and for making this series possible. More Secrets Revealed to Come! I love your outline, like a recap reminding us of the needful and the need to bind ur in our hearts. 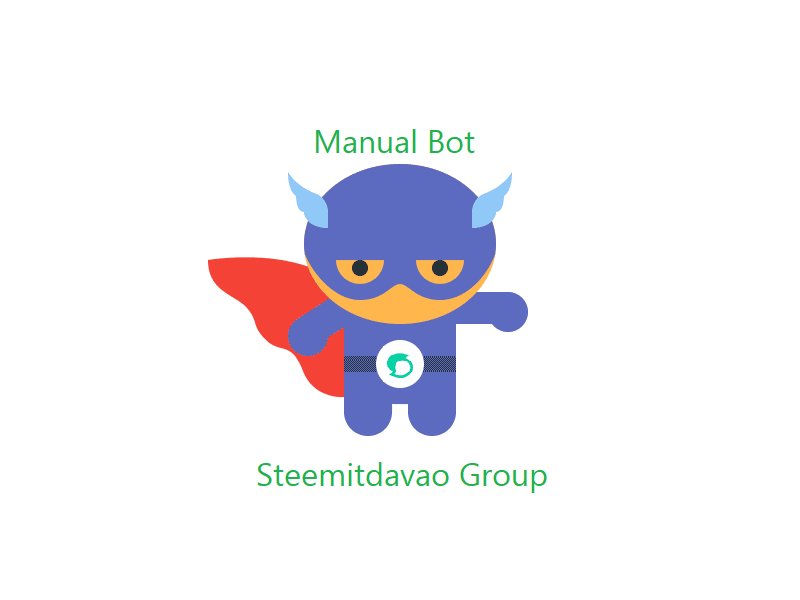 Indeed we wear so many hats when we are a citizen of Steem. We are creators, innovators, adventurers, CEOs, workers, influencers, story tellers and artists. We are all of these and more as we offer ourselves and make Steem better. We have the greatest minds at our disposal here, we can learn from the best, we can read the best stories and poems, see the most awesome photos and drawings. Be at awe at the different people contributing. We just need to open our eyes and see the beauty of it all. I like this one and is nothing but the truth because while you are busy laying back and acting lacadasically. Others are already gone due to the level at which they are mining in their mind to bring in new idea. Like I said in of one my recent post titled" stop looking back... the future is ahead of you. " if you keep dwelling on the past glory you will not do anything new than what you have done before." Therefore, start mining something new. Like in @surpassingggoogle voice "there is no one without a gift". Selah. You can say that again. It has changed drastically because after over 20 years of exploitation, I finally sacked my boss. Steemit has given me a job, a future and a life. Again, my talent has received a tremendous boost. Lol, sacked your boss indeed. Steemit has empowered many of us. Though I am a student, I am not ever thinking of a job because steemit has given me one. There is so much beauty here on steemit and the above features are just some of them. And frankly speaking, there's no other office I'd rather be in, or any other job I'd rather do. Steemit is wonderful. on behalf of my owner @mrblu we are so proud of you as a member of the steemidavao group. we are so thankful for your kind heart. more power to you guys. keep steeming, keep it up guys, on this journey on steemit we will succeed by hold on each other, keep fighting on the right track of steemit. fighting in the sense of positivity and productivity as we post our article with a heart. let us join together, helping each other, sharing ideas and most of all, we will support one another in order for us to grow in the steemit world. Wow... Great approach and detailed post here. So true. The farther we see, the better it becomes. We need to see beyond our physical appearance and believe in our potential. We do need to see beyond our appearance. Myopic sight shouldnt be entertained. We should look beyond what we are now. And believe in our potential. Yes i agree @ephraimparker you just have to believe in your potential and ofcourse be humble all the time. hallo @surpassinggoogle your all job very good. and steem secrets projeckt very high. A better valued version is what i hope to be. A steemian with wings to soar high here on steemit. The best version of my awesomest self is what I am becoming, thanks to steemit, @surpassinggoogle, who has the minnows at heart. Cv now? My active friends on steemit have their CVs written all over them lol. They all used to be broke students I tell you. Since they entered steemit, they have now found their self eSteem at long last lol. Thanks to @surpassing google, thanks to @athenabree08 and the @steemsecret. Loving you guys and your work. And hey when do we Nigerians get to be on this? Yes it is. The advantage of this is we already knew what are the steps in order for us to grow and succeed in this community. Thanks for @surpassinggoogle who never fail to help us. Steemsecrets has opened my eyes to alot of stuff here on steemit. I hope this will keep going on for long. Very true, a lot of secretes are being revealed here. Its another #secretRevealed message again from the stand of @steemsecrets team and @surpassinggoogle (the boss). Wow I love this initiative sir @surpassinggoogle. This will help most newbies here know the crannies in steemit,and have a smoother journey here on steemit. Thanks sir!. God bless you! Today is my second day on following the #steemsecrets and I must confess that it has been great. It has exposed me to a lot of different scenarios on this platform. Truly I discovered my value has improved ever since I joined Steemit, The content of my CV has improved as well an any company will be fortunate to have a precious gem like me in their organization WHY? Because steemit is a place of Experience. This is really true because on steemit the gap between everyone is narrow, you can almost interact with everyone and just recently I have been interacting with some great minds like @lemouth who happens to be a top physicist and a host of many others. Steemit has really changed my CV and given me oppurtunities. Before joining steemit I was just a broke and idle student who could not achieve much because of finance but all have changed now because I now possess that financial independence that I have always craved. Finanacial indepence is a feat steemit has heleped a lot of us to achieve. I would say in a way we are all whales. More have been said already, the more you look the less you see, but when you look beyond what others are seeing, then that makes you see better. Thanks! I am a minnow but whale inside. We live in a decentralised age. Decentralisation is the name of the game. The power is now in my hands, isn't that amazing? Blochkchain technology is one of the best things that has happened to humanity. Yea. No more burning data for posting things that even though they might be seen and liked, you would not get value from it. Decentralization has really changed things. People make money off our activities on social media in the past without us getting any reward from it but a revolution is here that will take the world to another level. Its my morning routine man! This post is great and awesome. Since i joined steemit A lot of things changes. Like i don't fall in line for interview. No need to work 8-12 hours at office. You handled everything in order. You have no boss cause you are the boss. Nothing to worry about the late deduction. I might say. Steemit is big help not only for me but for all of us. Thanks to steemit. Also thanks @steemsecrets and @surpassinggoogle for revealing everyday tips so that we can use in our daily steem. This is a terrific initiative sir. I have been following up on you great sir. I would love to also participate in this @steemsecrets initiative. This is absolutely true and funny enough I haven't given this much thought. The platform is growing everyday and there is now a wider coverage to meet people. We don't pay for these adverts instead we get rewards from them. #steemsecrets is really amazing and educative. Wow!!!!! Kudos to you sire @surpassinggoogle. This @steemsecrets idea is helping me alot. It has motivated me to stay constant here on steemit. And i have learnt alot about the community through the videos youve posted here. Please support @surpassinggoogle as witness by voting #steemgigs. "Mine with your mind in an incessant loop", these words got me....since i joined steemit,seriously my CV has changed, i went ahead to add the qualities of a good blogger to it an punctual to deliver projects, apart from CV my life has changed...me a whole lot of people and my communication skills has improved alot, thank you @steemsecrets for bringing out the "whale in me" to rule my world, indeed we all have the power to change our world and make it a more bearable place. The world at large is looking for change and improvement even though they might not drum it into your eardrums, but as humans and we are dynamic, we should not wait to be told to grow, expand and stretch to where we thought was only meant for geniuses. Deep down our minds we know we are geniuses and all left to do is to work towards it.thank you @suparssinggoogle and @athenabreeo8 for always using @steemsecrets to revolutionize our minds. I think I need to update my curriculum vitae already. That is the spirit.... Confession followed by actions in line, works like magic. Thank you I have learned a lot from this post! Steemit is really a blessing for all of us. The opportunities are endless, we just have to open our eyes. You are enjoying the early mover advantages. You are one of the solid bricks of Steem ecosystem which is changing the world. You are doing what search engines do, bring best content up. You're an active contributor who is helping in simplifying the revenue model of social media. thank you @athenabree08 for this another word of wisdom you have shares this may serve as reminder for us all steemians where are a CEO and a CEO is a gameplanner and master trouble shooter. yes i will this would be a help for us newbie in steemit i am bless God lead my way here..
Hey there young lady, you delivered it clearly. Congrats baby. Very powerful and inspiring. I thank you with an upvote and a resteem. As I am reading this, I can't help but to smile. It is very inspiring and very heartwarming. We are what we see in ourselves, and we should not fit directly to the purses of the society and the views of the people around us. The CV or resume just show your profession/skills in the field of work, but it doesn't show the way you help others or the goodness within you. Kudos to you! It is really important article for me so thank you very much for your time to this community And i hope I will learn more and more from you keep it up thanks. Waoow am so happy...seeing this post only has made my day...indeed joining steemit makes me understand that my voice really worth something...that am in charge of my affairs..
Hello, Guys please follow me.. So many secrets yet to revealed I hope @steemsecrets will also let me reveal something one of these days. I agree since I became steemian I am no longer the same person. There so much edge I have now compared to other people within my line of expertise. I may be a minnow but I am a whale in my heart and mind. for I don't consider being a whale as someone who has the power to empower other people but also someone who is willing to help and guide other steemians especially the newbies. In every human being life lies a potential for greatness but there must be a driving force to enhance the actualization of it. Of course, steem has open way for more advancement in life, it has deposited more into our life and also upgrade us from the known status to the brighter unknown. We need to value ourselves more before people start to see the light in us. the point " You are connected to the best talents in any niche or industry"
steemit i found and conneted to my niche community as we have many follower so we can not leave because it surprise google and also us geeting best platform! steemsectet give us awesome and valuable information! STeemit has been awesome for me. I have seen that it is a decentralized bank and that's too fresh. Thanks for this revelation @steemsecrets.. I'm about to cry. Trully, steemit is a great way to continual self-developlment. This is a social networking platform that can help develop the individual to its optimum level. Keep inspiring @steemsecrets. Keep steeming! Great write up @athenabree08 and also i am always happy visiting this arena because am always learning new things everyday day. Keep on doing the good work @steemsecrets and also to @surpassinggoogle thank you very much. Thank you for this, sis. More power to you! God bless. Steemit is truly a life changer..From being an ordinary woman before but a CEO now coz I own steem....yehey!! wow, I loved this... :) Another message from @steemsecrets to enlighten us..followed.upvoted and resteemed!Let's spread the words of @steemsecrets..
this video is so good.